It is driven by an AC motor. It has two pneumatic holding systems. to requestd thickness which is 80mm. by an AC motor which driven by an inverter. 200 width for floral foam block transport. 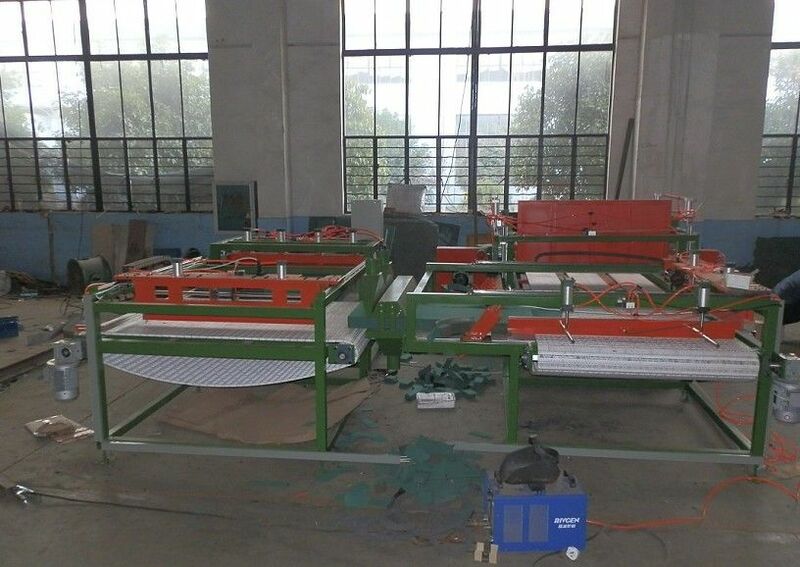 It keeps same speed and action with (1) belt conveyor. A vertical cutting station (4) for vertical cutting. 1450mm*230mm*80mm and trimming two sides. It has the de-dust system to take the dust during cutting away. 1500 width for floral foam block transport. to take the dust during cutting away. (8) for final product which size is 110mm*230mm*80mm tranport out. and foam relation assistant equipments. high accuracy and makes it easy to operate. technical and trade cooperation with you. quilting machine and so on. For the packing, there are a professional team to loading the cargo. who is rich experience of carrier. So do not worry, it can save money and safe for you. plus USD 60 per day each person will be charged additionally. 3. Free training course at our plant. 5. Machine has been adjusted and test before delivery. during warranty period have to be borned by the customers. 1. Q:Are you a factory ? A:Yes,We are a manufacturer and doing the foam machines since 2006. 2. Q: Which drawing software do you use? 3. Q: Whether your engineer can come to our factory for installation of the machine? 4. Q: Can you import DXF files from another source? A : yes. Any DXF files is acceptable. Welcome visit us!please feel free to contact us for more information!